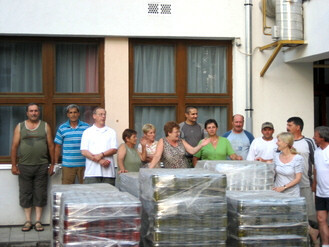 7/14/2010 UPDATE: AHF co-sponsors delivery of 10,000 pounds of Flood Relief Supplies... On July 13, 2010, AHF, in partnership with with its sister organization, the Amerikaiak a Magyarokért Közhasznú Alapítvány, a non-profit Hungarian foundation, and the Kincsem Hungária Szövetkezet delivered more than 10,000 pounds of relief supplies into the Hungarian Flood region. The relief effort will continue as AHF continues to raise funds and numerous local organizations have mobilized to support the 2010 Disaster Relief Fund. The Alapítvány President Balogh Gyula (who is also Co-President of AHF) and its Co-President Dreisziger Zsuzsanna (who put together the relief effort) and Merczel Sándor President of Kincsem Hungária (which provided the logistical support) traveled from Budapest to Boldva, Edelény, and Szendrő to review the local situation and deliver the supplies. 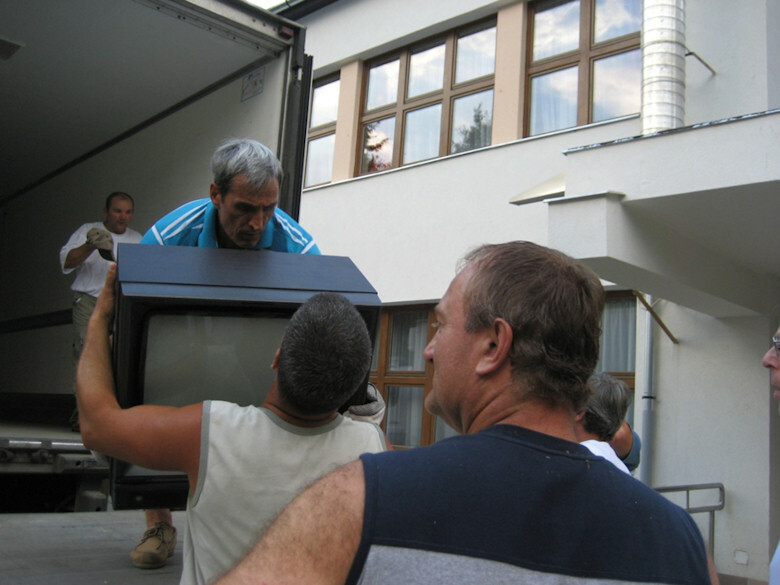 Despite many other current Hungarian flood relief efforts, dozens of people in Hungary chose to contribute to the Amerikaiak a Magyarokért Alapítvány due to its all-volunteer effort and significantly lower adminstrative costs, as well as its transparency. The tons of supplies included a few tons of canned goods from the Szatmári Konzerv Gyár, more than 90 bags of new and used clothing, blankets and comforters, washing machines, refrigerators, irons, kitchen supplies,TV’s, and furniture. Warehouse space was provided by KHK Korona KFT in Csepel, transportation by the Kincsem Szövetkezet, and funding was provided by AHF, the Amerikaiak a Magyarokért Alapítvány, and private donors. 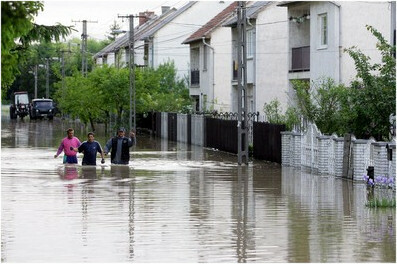 2010 Devastating Flooding in Hungary - Help now! 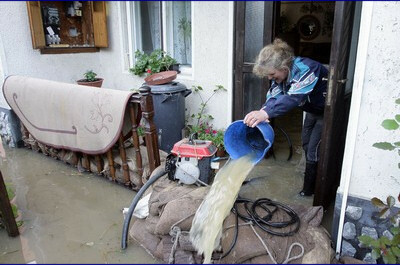 The American Hungarian Federation is joining forces with its sister organization in Hungary, the Amerikai Magyar Klub, under its "Amerikaiak a Magyarokért Közhasznú Alapítvány (AMKA)," to raise funds to help families affected by devastating flooding. AMKA is a registered nonprofit foundation in Hungary. AMKA is headed by AHF Co-President Balogh Gyula who is personally overseeing distribution of aid. 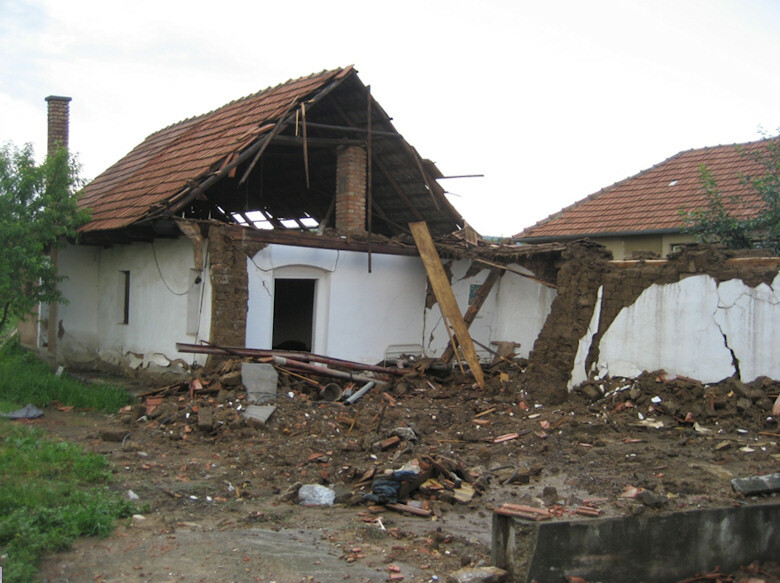 Your tax-deductible donations to AHF go directly to help victims in Hungary. (Magyar Önkormányzat Európai Szövetsége - MOESZ), an association of municipalities in Hungary with contacts with most of the local mayors. See more photos from Máté Péter at Magyar Nemzet. So far around 2,100 inhabitants have been forced to leave their houses. Most of the displacement centres are in the north-east, where 1,900 have been evacuated, some in rubber boats, National Disaster Authority spokesman Gyorgy Szentes told MTI. the main border crossing with Austria at Hegyeshalom. [Read more] about Previous Disaster Relief Fund Fund efforts! Add your name to the Wall of Honor! GIVE to the AHF the Disaster Relief Fund!